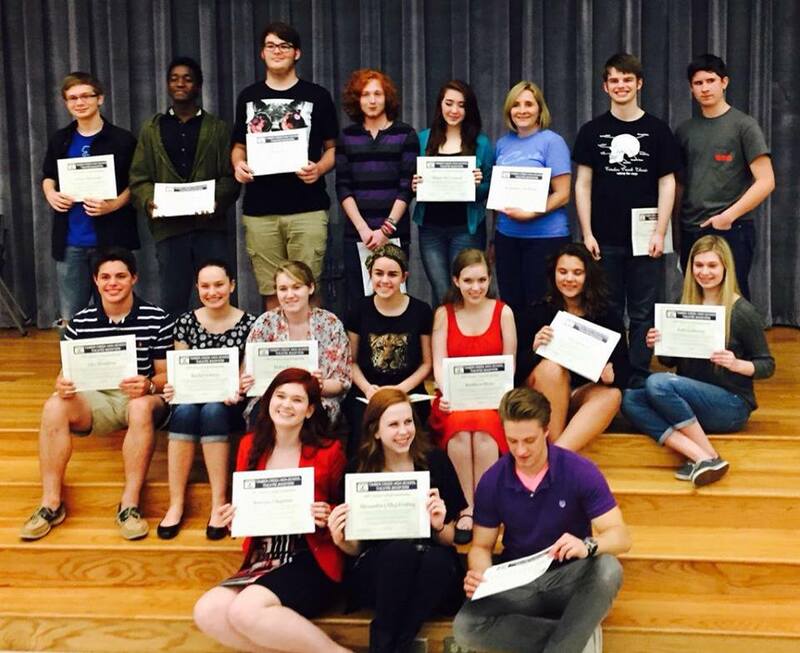 The TCHS Theatre Booster Club has awarded 15 freshmen, sophomores and juniors for their summer theater camp tuition. They’ve also given scholarships for college tuition to three seniors. “The 18 scholarships were awarded to students for demonstrating outstanding involvement in the Timber Creek Theater Department, excellence in theater achievement, and promise in future thespian efforts,” said the organization. These 18 scholarships total up to $16,825, setting a record as the largest total award amount and largest recipient count for theater scholarships here at Timber Creek. Trevor Shoemaker, a freshman in the theater department that received a scholarship, said that that this would help him attend Camp on the Coast, a summer theater workshop that will be held at Texas A&M University. “The camp would be very expensive and the scholarship helped me immensely, because without it, I would not have been able to attend the camp,” Shoemaker said. Next Next post: Watched TCTV? Check.